I am learning that Valentine’s Day is tricky territory for the preadolescent boy. Historically, the day has meant lots of free candy. He didn’t care what the cards said, he just wanted candy. But now he is at that age when he is almost too old for class Valentines cards, but still desperately wants the free candy. He is also becoming more aware of the romantic side of the day and is terrified of being teased. So I am under strict orders that his cards should contain no hint of the romantic. So although I love this pun on the word balloon, it was deemed too romantic. 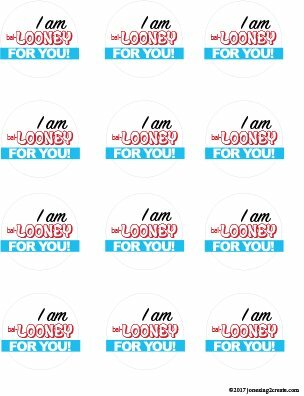 According to my boy, to be “looney” for somebody means that you are crazy for them, which means that you love them. And we MUST not talk of love on Valentine’s Day. 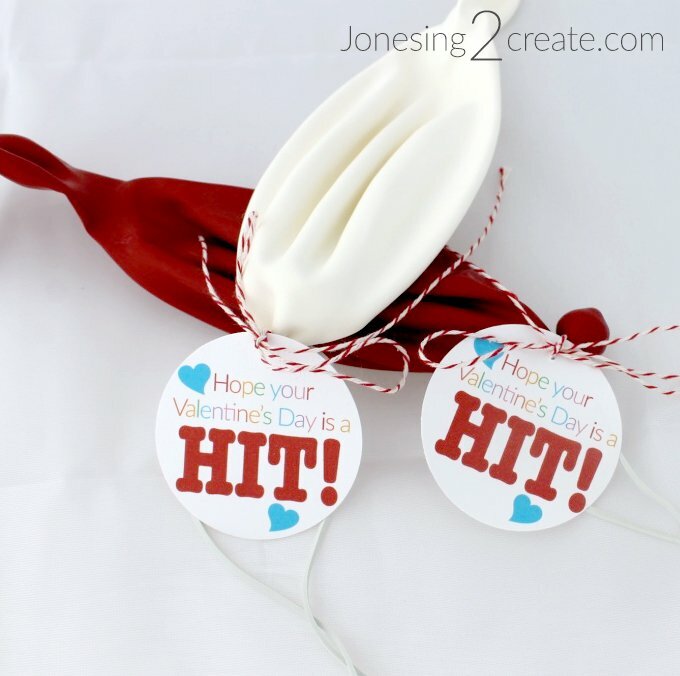 So I came up with a boy-friendly punch balloon valentine printable as well. So depending on the age of your child and their tolerance of anything romantic, I have come up with a few fun printables for Valentine’s Day. 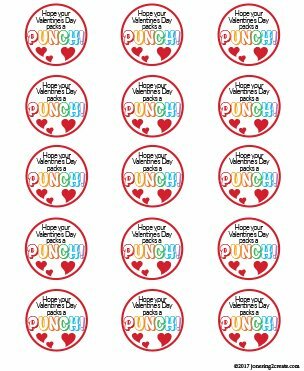 And I even worked in words like “punch” and “hit” on the Valentine printables in case they weren’t already manly enough. 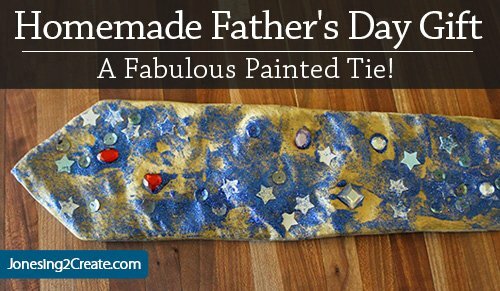 But these aren’t just for boys. My Ladybug loves them too. In fact, the general consensus on the punch balloons is that they are very cool and way better than just giving out candy. 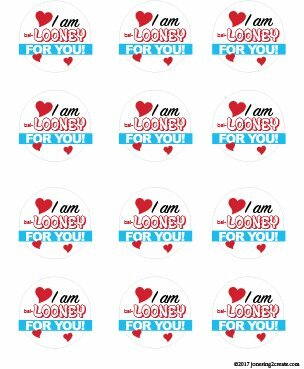 Just in case “looney” isn’t too romantic for your son, but hearts are, I have created an alternate with no hearts. 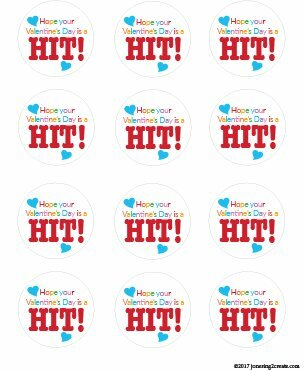 But I figured for these cards that the words “hit” and “punch” were manly enough to be able to pull off hearts. I totally remember being in the 4th grade and spending forever figuring out which Valentine’s cards to give to which boy in my class. My mom always bought those packs at the store, and some were definitely more romantic than others. You were careful with the boys you didn’t like because you didn’t want to give them any ideas, but you were even more careful with the boys you did like. You didn’t want to come across as desperate, or even worse, get teased. 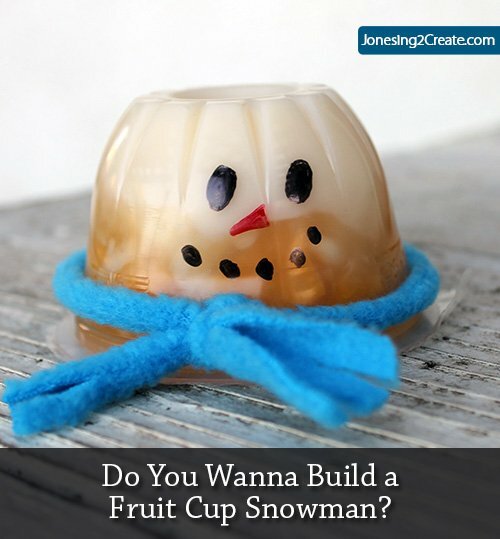 At this age, there are degrees of subtly that would confound even the most sophisticated poet. And yes, there are a few Valentines cards that I saved up until at least high school of boys who I thought were super cute. I wonder if they spent as much time deciding which cards to give me as I did with them. Last week, I shared the Bubble Valentine Printable for Ladybug’s Valentine’s cards. She is still at that wonderful age where she doesn’t have to sit and contemplate their deeper meanings. 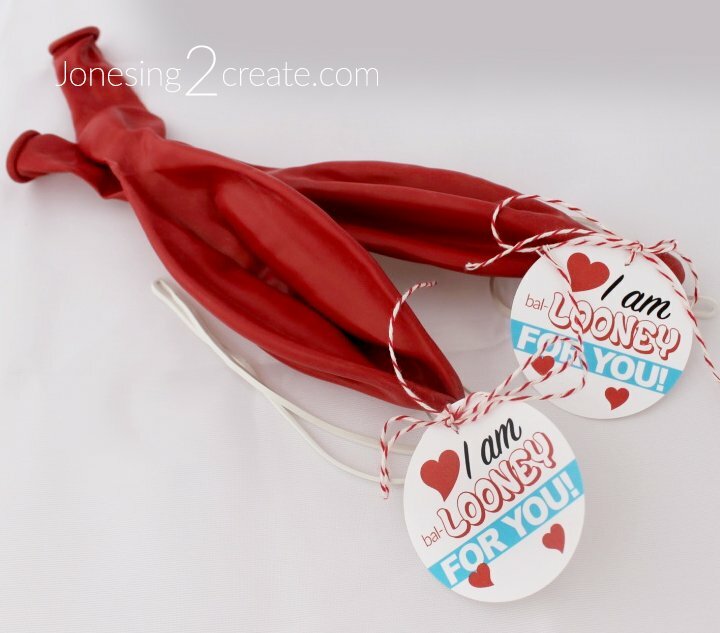 Previous story Bubble Valentine Printable: Great Non-Candy Valentine!